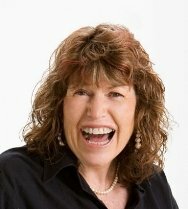 Suzie Cheel is an Inspirational Change Expert, coach, blogger, artist and author. Some of you may know Suzie as the Abundance Queen, Suzie has been a teacher, a trainer and had a successful textile art business and has a Masters Degree in Social Ecology. She coaches and is committed to empowering the people she calls Change Warriors in Hiding. These are people who have a desire to create change in the world, but are held back by fear and self doubt and she takes them from stuck to stardom. This fuels her desire to make a positive difference in the world and to create a ripple effect of positive change. Suzie wrote her book Emergings -a Meditation on the Emotions of Change, at a time of great change in her life. Suzie lives in what she calls paradise on the East Coast of Australia and online. I have had Oprah on my Dream Board for many years. When I heard there was to me no more Oprah Show I nearly took her picture off, seems like the universe has others ideas! Oprah coming to Australia was the inspiration that has me taking action on my BHAG to empower 1 Million people. Whether I get the Oprah call or not I am following through on this with a special one day sale on Cyber Monday where you will be able to get The Emergings Experience- the book, the spoken video and meditation video at a crazy price and 50% of the profits will be going to Kiva. This will finally get my book that I wrote and illustrated 25 years ago out to the world. If you could walk a day in someone else's shoes, literally, who would that someone be and why. Wow just one, so many people came to mind and then I thought I would like to walk in the shoes of a child say 3 or 4. this would nurture my inner child, remind me too about the importance of play, be free of responsibility, get to sleep more, be taken places, be entertained and cooked for. That is a challenging question as so many people and books come to mind. Firstly Dr Erica Yeates and the Insight Seminars program developed by John Rogers back in 1986 that was my starting point on this lifelong journey to freedom. This was both a personal and spiritual awakening. Brandon Bays and The Journey-both the program and the book that enabled me to release cellular memories that were limiting me and enabled me to tap into the pure diamond inside that we were all born with. Michael Losier - The How to Guy and Author of The Law of Attraction Book- The Science of Attracting More of What You Want and Less of What You Don't. I feel joy in my heart as I give thanks for all the blessings I have, then meditate, journal, Namaste my Soulmate Des, walk on the beach and swim in the sea. The beach is my happy place.